Proudly serving the oilfield by providing field inspections, transportation and yard reclamation services since 1975. 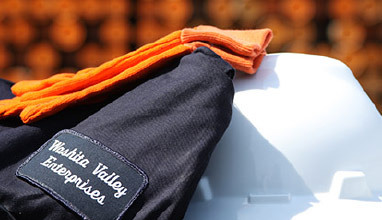 Washita Valley Enterprises, Inc. has been a provider of oilfield inspection services for over 40 years. With corporate headquarters in Oklahoma City, Washita Valley has now expanded to multiple locations nationwide. WVEI offers reclamation services of casing and tubing per API Specifications. Our OCTG storage service maintains new and used pipe with optional weekly or monthly inventory spreadsheets. WVEI offers a wide variety of field inspection services along with other associated services that can be performed at your yard, well or rig site. WVEI transportation services fleet includes flatbed trailers, forklifts and hot shot services which are in compliance with statutory and regulatory requirements. WVEI has programs that meet or exceed all Federal, State and local laws, rules and regulations as well as contractor requirements. These programs are implemented in every phase of service from management to employees. Safety of all is our core culture.